The weather outside was blustery, but there was a warm glow developing inside Crescent Tavern on South Bass Island. 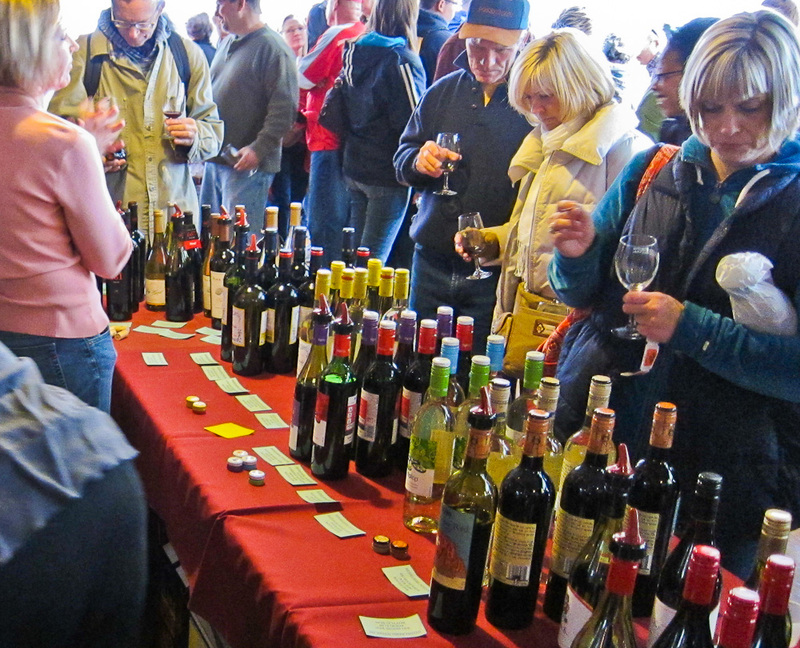 This was the 9th annual Put-In-Bay Wine Fest and spirits were high as the customers elbowed their way around the tavern, perusing hundreds and hundreds of wines from around the world. 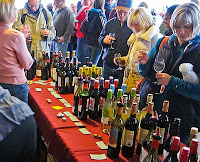 It was a cornucopia of wines that poured out into the souvenir wine glasses each person received as they entered. There were reds and whites, sparkling and still, even some ciders, margaritas and Dr. McGillicuddy’s Root Beer. Choya Umeshu from Japan was a huge hit. Other tasters went from Barefoot to Simply Naked, enjoying them all. Islands of wine tables were set up in the middle of the tavern’s two main areas as well as on perimeter walls. Interspersed were tables of food and cheeses that were simply irresistible. On the far back wall, two chefs were whipping up one of their “once-a-year only” specials…Flaming Cheese. “This is the main reason I come here every year, just to get the flaming cheese” said Ron English from Michigan. 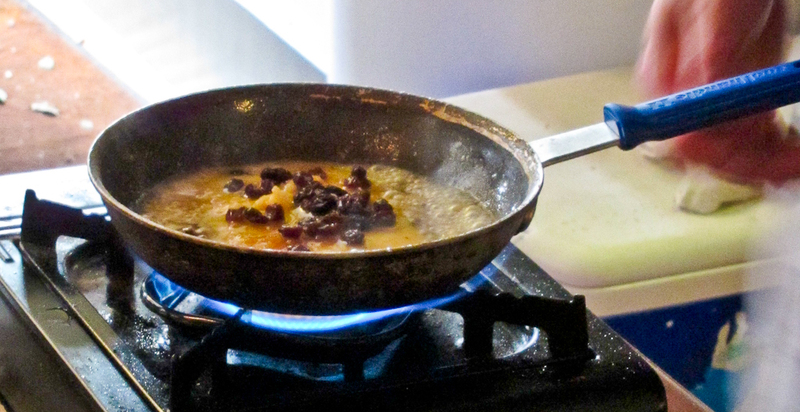 Also known as Saganaki, it starts with a large piece of Kasseri cheese cooked in a hot pan with some butter, brown sugar and raisins, and then flaming brandy. Spectacular. 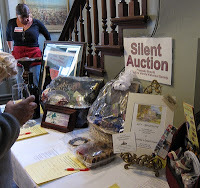 In addition to the wine tasting and the food delicacies, there was also a silent auction to benefit the Lake Erie Islands Historical Society. Artwork, wine baskets, magnums, wine-themed lamps, and vacation packages were all getting multiple bids. The Wine Fest is a one day only event each year, but if you missed it, there’s a sequel coming next weekend. Put-In-Bay celebrates Oktoberfest on Oct. 8 & 9. With more wine, brews, brats, spatzel and sauerbraten, not to mention some German sweets, it is another popular reason to hit the Lake Erie islands. Miller Ferry sails from Catawba on the hour from 7:00am until 7:00pm and can take your bike or auto as well. Free parking is available on Catawba if you wish to leave the car behind. Shuttle buses are available once you reach the island. Oktoberfest 2011 runs from 11:00am – 7:00pm on Saturday, Oct. 8 and from noon until 5:00pm on Sunday, Oct. 9. It is located under tent in DiRivera Park on the corner of Delaware and Hartford in downtown Put-In-Bay. Entry is $4 for one day or $6 for both. Entertainment will be provided both days.